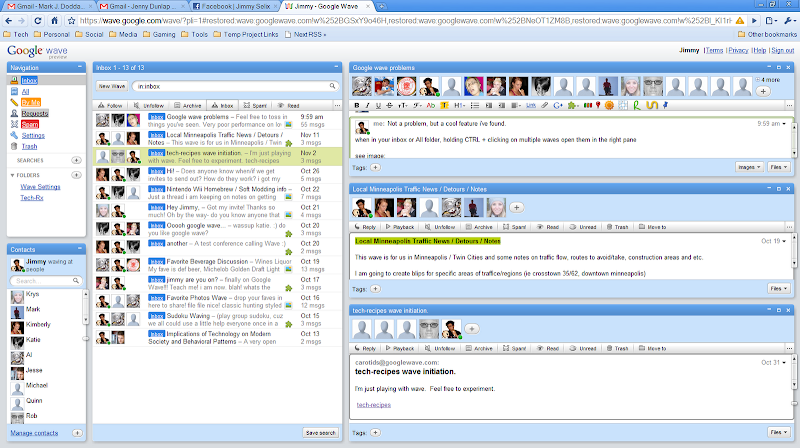 This recipe shows you how to open multiple waves when using the Google Wave preview. This is a very easy feature to use. When in your Inbox or All folder in Wave, click on the first wave you want open and then hold CTRL and click on the next wave you want to also open in the right pane. To close any of the windows, just use the X in that wave window. To maximize that wave, use the maximize button.